This book gives parents all the tools they need to get their babies and toddlers started on healthy eating habits that will last a lifetime. A great collection of quick, easy, and delicious recipes is partnered with a Q&A and loads of handy hints and tips on what younger kids will and won’t eat, what’s good for them and what isn’t, some surprising exotic foods that are actually highly beneficial, and plenty of advice on how to awaken your child''s interest in a variety of foods. 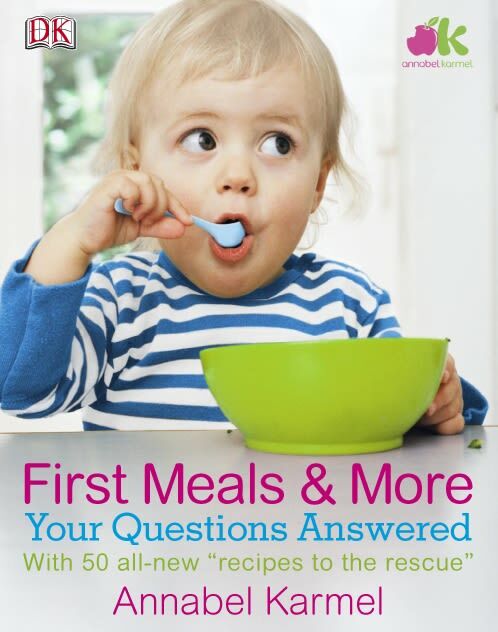 Expert advice helps parents addressthe key issues likely to affect each of the five age groups in the book, with more than 400 helpful Questions and Answers from bestselling author Annabel Karmel, a leader in the field of children''s food and nutrition today. Fifty tempting,nutritious ‘recipes-to-the-rescue’ will appeal to the fussiest eaters that children will love and want to eat over and over again.